New Delhi: Indian Public Library Movement (IPLM) in collaboration with National Book Trust (NBT) with the aim to inculcate the culture of reading in the children has been working together successfully since the signing of MOU between the two organisations. Once again IPLM is leveraging World Book Fair platform to bring the cause of public libraries in the mainstream agenda of the government. To promote the reading habits in a holistic manner through the use of Public libraries IPLM in collaboration with NBT is organising discussion /workshop and interactive session with various stake holders of the library space which will include the representation of the Delhi government, CSR space IPLM and NBT. Ms. Chanchal Yadav, secretary, NDMC will be the chief guest and will also interact with the volunteers who will pledge their volunteering services for the cause of reading and public libraries on January 7th. In an effort to build a knowledge based society it is important to engage with the present and upcoming generation and make them aware of the importance of reading and using the facility of public libraries for the purpose of knowledge and information enhancement. World Book Fair platform is being utilized by IPLM to launch the I Pledge property in the space of public libraries in India. To achieve the deepest penetration in the community, participation of the community itself is extremely important and what better way to engage the community. Inadequacy of trained staff in the library space is a challenge under these circumstances, libraries need a vision and an effective strategy to overcome the gap between the need and availability of the resources. IPLM is also utilizing the opportunity to promote the skill of creative writing by organising a self-written poetry in either Hindi/English or Urdu by the college students which will also be recited by them in front of the audience at World Book Fair on the 13th of January giving them the pleasure of getting accolades from the live audiences for their own creation. Indian Public Library Movement is a multi-stakeholder initiative supported by the Bill and Melinda Gates Foundation’s Global Library Initiative, working towards the transformation of public libraries into vibrant and inclusive knowledge institutions. 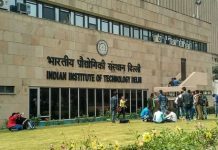 RiiDL of Somaiya Vidyavihar, the first and only Community lab (DIY bio lab) in India becomes ‘Community Partner’ with Community Bio-Initiative of MIT.